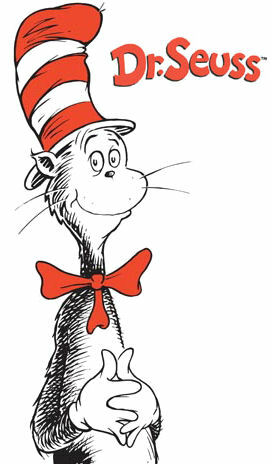 Theodor Geisel, aka Dr. Seuss, would have celebrated his 114th birthday today. I grew up on Dr. Seuss and have already introduced my young sons to many of his books. I am convinced the amount of reading my mother encouraged as a child has contributed to my success as an adult. 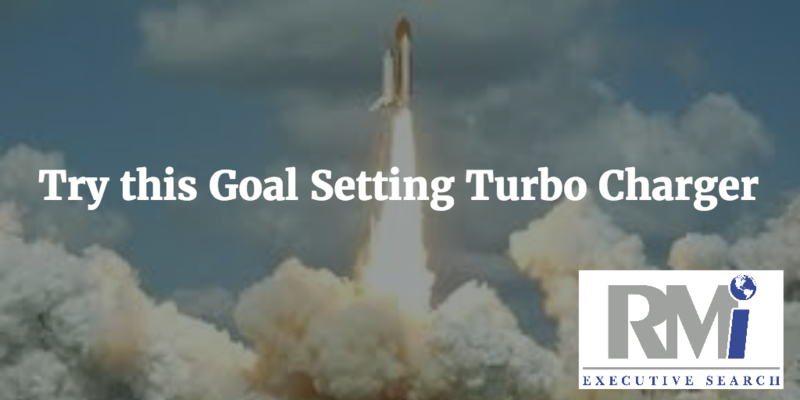 Why Haven't You Started Goal Setting? Not sure how to get started writing you goals? Following are 10 simple steps we teach our executive coaching clients. Remember, you will always be better your 10th time than you are your first time. 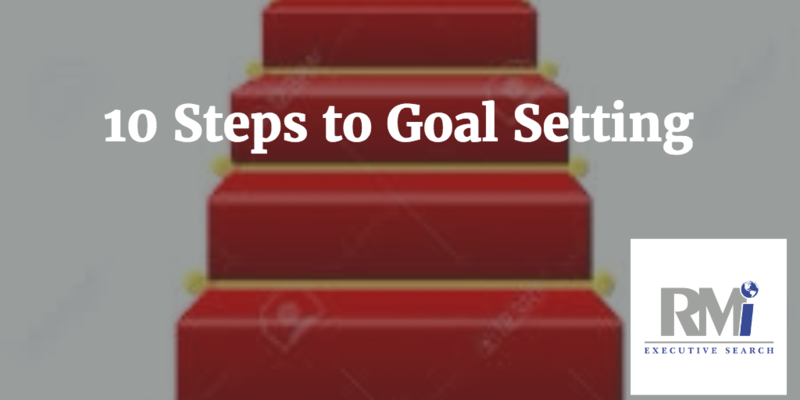 So, just start setting and writing your goals following these simple guidelines. You will get better with practice and over time your goals will write themselves. 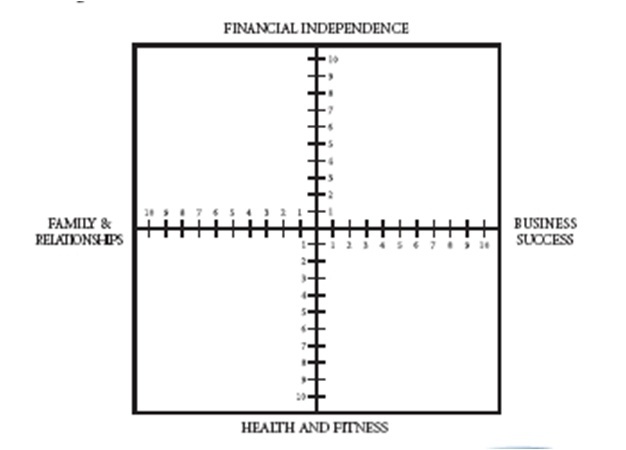 What I mean by that is that over the course of days and weeks, of regular goal setting, you will figure out what you really want and as a result, you will begin to write goals that detail YOUR hopes and dreams. More importantly, you will find yourself doing the things that move you toward those goals. Because, being a person of integrity, you cannot regularly write something you say you are going to do and then not do it. Want to increase your productivity by 25%? Then, at the end of today, make a list of what you will do tomorrow. I know it sounds too simple or perhaps even impossible because of the inherent interruptions you experience throughout your day, but if you'll give it a try, I promise you'll experience improvement as a result. So what if it's not a 25% improvement...because remember, we're shooting for consistent incremental improvements that lead to permanent changes and big results over time. 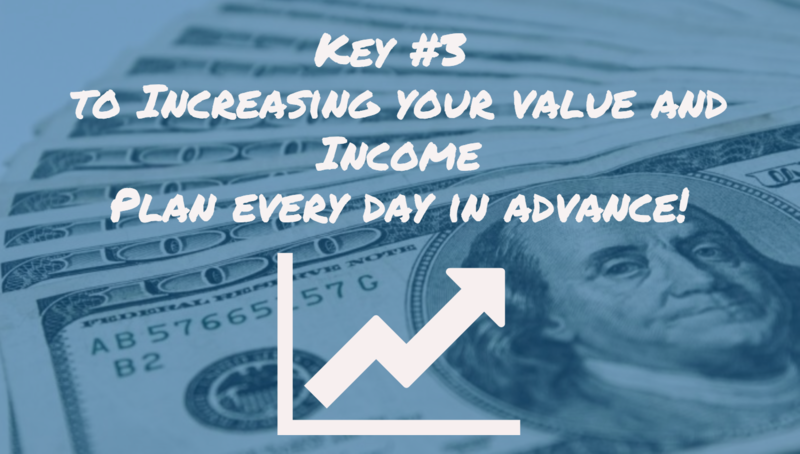 KEY #3 TO INCREASING YOUR VALUE AND INCOME: Plan Every Day in Advance! And every week and month for that matter!